Going to a Los Angeles County Swimming Pool is increasing specially within the elderly population sectors of Los Angeles County, who have suffered some sort of muscle or bone damage. The best Los Angeles County Swimming Pools are located mainly in big cities, but it's also simple to discover public pools in rural areas. 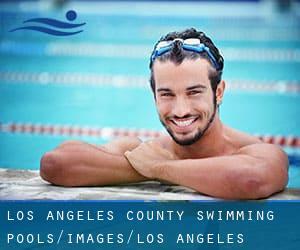 Please contact the sports center in Los Angeles County to check which activities are becoming offered and their timetables, due to the fact Los Angeles County Swimming Pools may have unique rules and fares than other places. Please use the contact data provided at each and every pool profile to check if they are offering aquagym lessons, due to the fact is not so prevalent to see an Aquagym in Los Angeles County. For Los Angeles County and its vicinity, we're showing you all the registered pools, some of them have no GPS coordinates and can't be found on the map at the map. We probably do not know all of the Swimming Pools in Los Angeles County. Are you missing any? Contact us!. There are various reasons why it is best to choose a heated swimming pool in Los Angeles County. The most important one relies on the importance of keeping the body temperature stable. If the water is too cold, your body will try to warm it up and you will shed strength to swim appropriately. There are a number of alternative treatments to chlorination, with great advantages that ensure far better water high quality in the pool. One possibility would be the mineralizer, which purifies water naturally and significantly decreases the chemical substances used and maintenance time. Try Chlorine Absolutely free pools in Los Angeles County. Enjoy the best indoor pools in Los Angeles County and don't worry about the weather. These facilities are open all seasons and you can enjoy a swim at the same temperature every day of the year. One of the advantages of outdoor swimming in Los Angeles County would be the possibility to sunbathe during the summer season. Taking it with additional care, sunbathing is healthful since introduces Vitamin D into the body, so the ideal alternative seems to be switching between indoor and outdoor pools depending on the season. If you're tired of having eyes and irritated skin, finding a saltwater pool in Los Angeles County may be the resolution. You should know that the degree of salt from these pools is effectively below the level of salt from sea water, specifically they're talking about a tenth or much less. Updated on 2019 1000 W. Artesia Blvd. , Gardena , CA , USA (Postal Code: 90247). Swimmers like you reported 25 meters, Indoors. Unfortunately we do not have the email address of this Swimming Pool, but we can give you the phone number. Updated on 2019 2900 Sepulveda Blvd. , Torrance , CA , USA (Postal Code: 90505). Swimmers like you reported indoors. Phone number and e mail address are number for this Pool. Updated on 2019 1628 El Centro Ave. off Grower , Hollywood , CA , USA (Postal Code: 90028). Swimmers like you reported 25 meters, 4 lanes, Indoors. Unfortunately we do not have the email address of this Swimming Pool, but we can provide you with the phone number. Updated on 2019 32250 Triunfo Canyon Rd. , Westlake Village , CA , USA (Postal Code: 91361). Among all the activities offered by the center, should you be interested in swimming you are going to appreciate 25 meters, 6 lanes (4 marked), Outdoors. Just in case you would like to contact this Swimming Pool before dropping by, we only know the phone number. Updated on 2019 412 E. Main Street , Alhambra , CA , USA (Postal Code: 91801). Among all the activities offered by the center, for anyone who is thinking about swimming you might take pleasure in 25 meters, at least 3 lanes, Outdoors. Just in case you need to contact this Swimming Pool before dropping by, we only know the phone number. Updated on 2019 290 East 6th Street , Claremont , CA , USA (Postal Code: 91711). Swimmers like you reported Olympic size x 25 yards, Outdoors. Updated on 2019 2025 Avenue of the Stars , Century City , Los Angeles , CA , USA (Postal Code: 90067). Among all of the activities offered by the center, for anyone who is considering swimming you might appreciate 20 yards x 30 feet, Outdoors. Just in case you desire to contact this Pool before dropping by, we only know the phone number. Updated on 2019 West Physical Educaton Building , 26455 Rockwell Canyon Rd. , Santa Clarita , CA , USA (Postal Code: 91355). Swimmers like you reported 25 yards, 6 lanes, Indoors. Updated on 2019 2250 Park Place , El Segundo , CA , USA (Postal Code: 90245). Among all the activities supplied by the center, if you're considering swimming you will get pleasure from 25 yards x 35 feet, 5 lanes, maximum depth 4 feet, Indoors. Just in case you need to contact this Swimming Pool just before dropping by, we only know the phone number. Updated on 2019 819 N. Harbor Dr. , Redondo Beach , CA , USA (Postal Code: 90277). Swimmers like you reported 25 yards, 3 lanes, Outdoors. Unfortunately we do not have the email address of this Pool, but we can give you the phone number. Updated on 2019 7630 Towne Ave. , Southeast L.A. , Los Angeles , CA , USA (Postal Code: 90003). This sports center offers 25 yards, Indoors. Contact information for this Swimming Pool such as phone number and e-mail address are number. Updated on 2019 20850 Centre Pointe Pkwy. , Santa Clarita , CA , USA (Postal Code: 91350). Swimmers like you have reported Olympic size x 25 yards, 10 lanes x 19 lanes, Outdoors. Also, you will find 25 meters x 25 yards, Outdoors. Just in case you desire to contact this Swimming Pool prior to dropping by, we only know the phone number. Holding an estimated population of 3.792.621, Los Angeles is one of the most important cities in Los Angeles County. 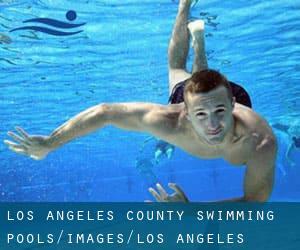 Check all the Pool in Los Angeles and its surrounding area. Whereas North Glendale is one of the six most populous cities in Los Angeles County with almost 203.201 residents, you shouldn't miss that one if you're going to Los Angeles County. Let us let you know a secret to switch off while you are in Glendale: just choose a Swimming Pool in Glendale and plunge into the water! There's no more successful technique. Without a shadow of a doubt, swimming in Long Beach would be the best approach to unwind following perform. Take a couple of minutes to browse Swimia's catalog to find a Swimming Pool in Long Beach.